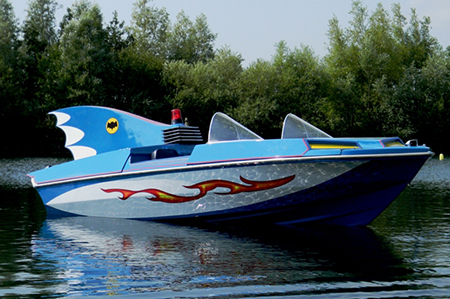 The first appearance of the Batboat was in the 1966 film Batman. 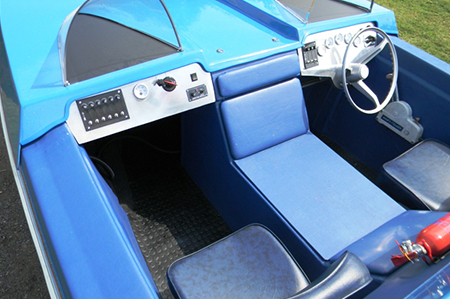 It was subsequently used in seasons two and three of the 1960s Batman television series and was created by Glastron Industries. 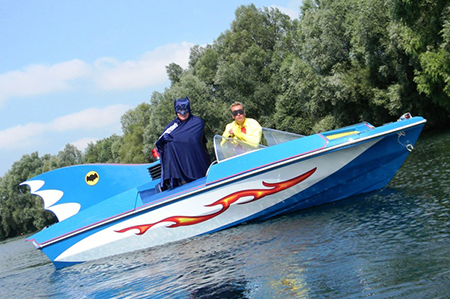 This Batboat is available for fighting crime where the Batmobile can’t quite reach!